SW7 and Evade are the two top contributing equipment categories in Specialized’s line. 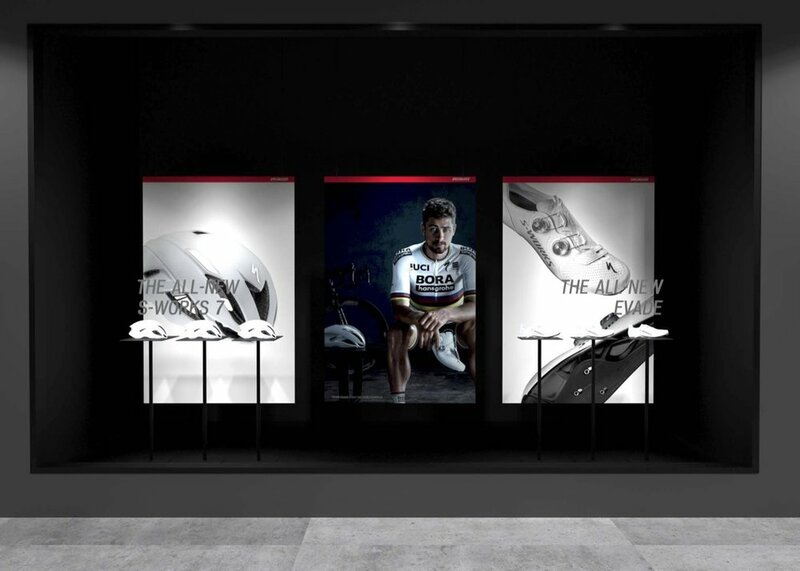 We focused on telling an on going story featuring the 3x World Champion Peter Sagan via the web, social, and retail. Additionally, we needed to land the technical product messaging behind the equipment. 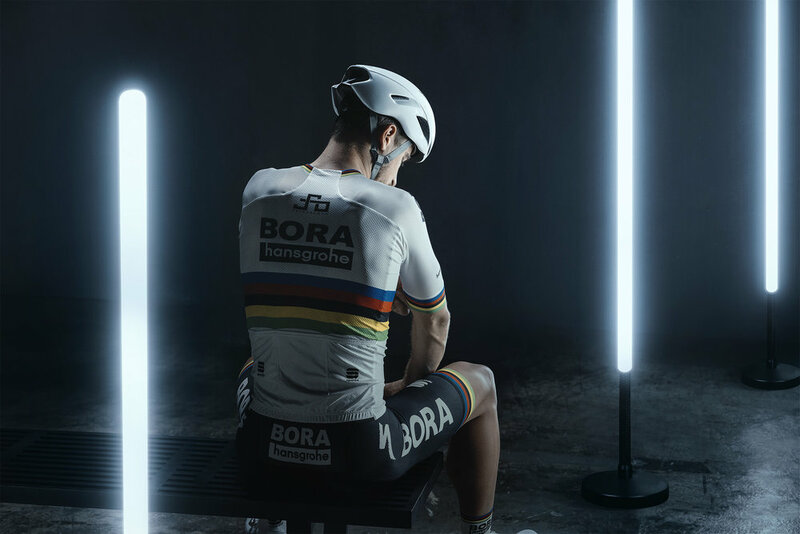 Explaining the change in shape from the previous model, the addition of new high-tech materials, and ergo-dynamic features to support the rider’s foot. Lastly, this was the very first project to be introduced on the new SAP Hybris web platform adopted by Specialized in December of 2017. Due to this, many of the features we implemented in our web experience needed to be developed for the first time. The SW7 was a big step forward in shoe design. It utilized new materials and new construction processes in its development and assembly. We wanted to focus on telling the technical story in 3 parts. Pressure mapped carbon outsole developed using the same analysis tools as our high-end carbon bicycle frames. 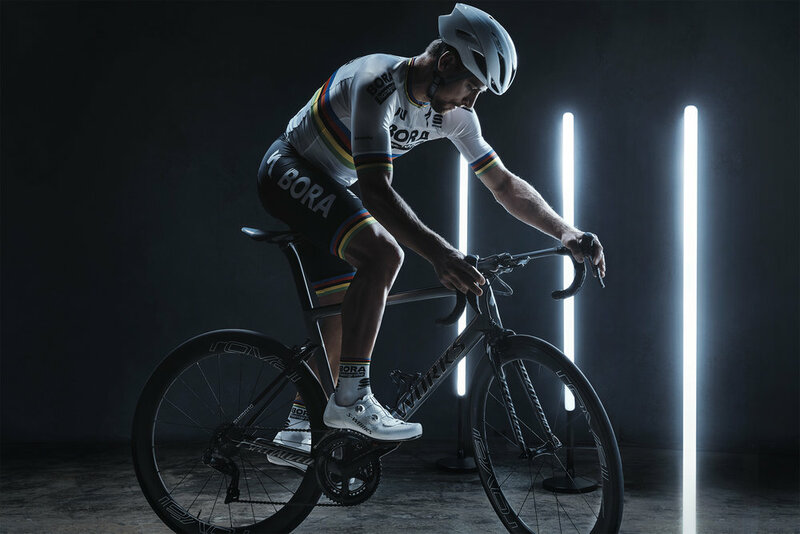 ergonomic support to the riders foot throughout the pedal stroke thanks to lab-tested Body Geometry proprietary features.